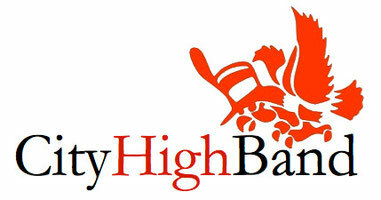 1) We are still looking for a parent to serve as the City high band representative to music auxiliary. This requires only that you attend the monthly meeting of the auxiliary (last Monday of each month), and give a report provided to you from the directors. We really do need someone who will listen and/or act on our behalf. 2) Another note of encouragement for parents to attend and assist in parking lot clean-ups. I am asking for parents, especially those that drop-off students, to remain to help in the work and supervision of our students. There are many locations where our students work, and an adult presence makes a big difference in how the task is accomplished. 3) I have attached a copy of the pledge sheet that we passed out to students for the music auxiliary car wash. Again, we are asking each student to return at least one pledge. Remember, parents are encourage to use the Sign Up Genius to help out as workers, http://www.iowamusicauxiliary.org. 4) We are moving forward with plans for our trip to Orlando. I should have a preliminary itinerary and approximate cost within a week. The cost of this trip is determined in large part by the number of students participating. We will be polling the band members about the likelihood of their participation, so please speak with your child soon. The more accurate our estimate of participation, the more accurate our estimate of cost.